Thought I'd shake things up a bit with my reviews & do a comparison between to similar products this week: the Bravado Essential Nursing Tank & the Glamourmom Nursing Bra Long Top. I've had both for about a year & a half. They've both seen active duty from the endless nursing newborn through to the uber wiggly speed-nursing toddler. Both tanks have their merits & depending on your body type, size & bust size, one might be a lot better for you than the other. I'd say for thinner, smaller-breasted women, the Glamourmom would be ideal. For curvier, larger breasted women, I think the Bravado is the best choice. 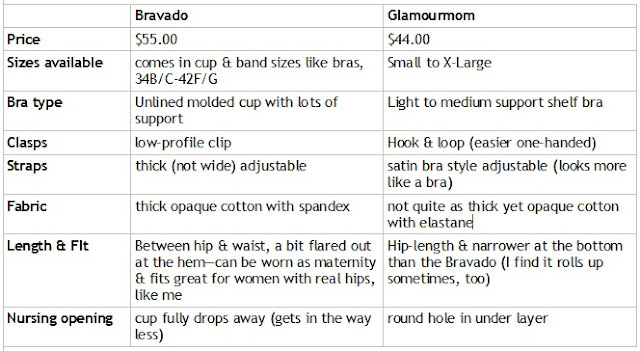 I bought the Bravado tank online & got the Glamourmom tank at a local shop (Room for Two). 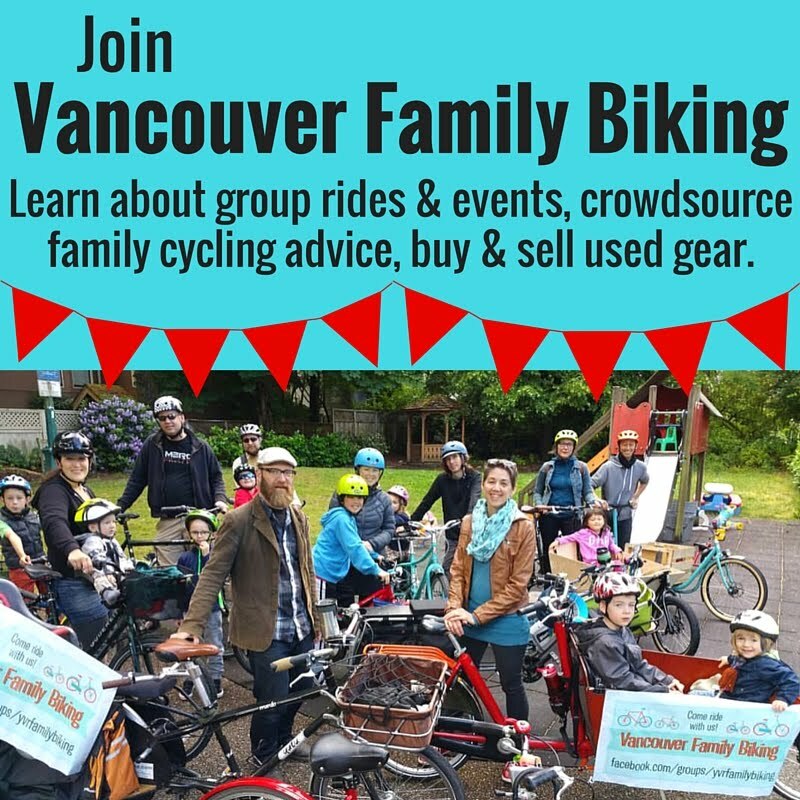 Both are available in many (mostly independent, not chain) stores in Vancouver & if you order online you have a wide choice of colours. Whichever one you choose, I highly recommend buying at least one of them--they're a great piece in the summer when it's warm or in winter under whatever else you wear. That way when you pull up an ordinary shirt to breastfeed, your belly doesn't get cold. I wore them to stroller bootcamp classes, though anyone with larger than a small B cup like me might want to wear a proper sports bra. Glamourmom has a style called the Full Bust Long Top which is awesome if you are big and need support. The Small fits D-DDD and the XL fits a J. It's cut higher under the arms to keep you supported and has an adjustable bra band which is unique.